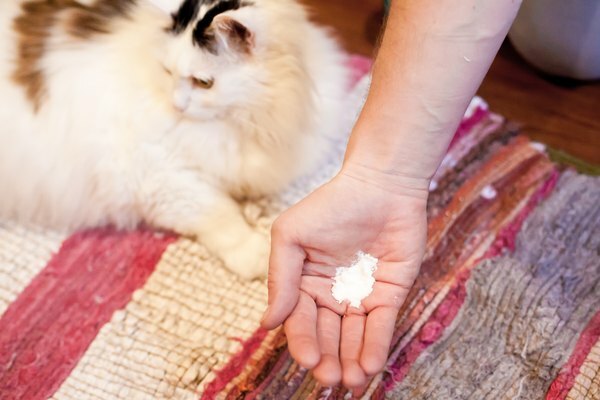 Cat urine has a very pungent odor that can be difficult to remove from carpet or upholstered furniture. It is important to remove every trace of the smell so a cat does not continually soil the same area. The smell of cat urine can also attract other animals and encourage them to mark their territory. 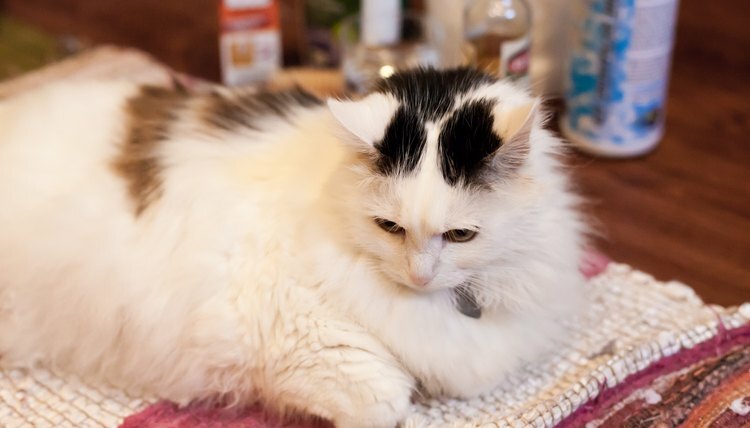 You can clean cat urine with a mixture of baking soda, dish soap and peroxide. Blot the urine with a dry paper towel if the stain is fresh. Soak up as much urine as you can with the paper towels. Do not rub it into the fabric. 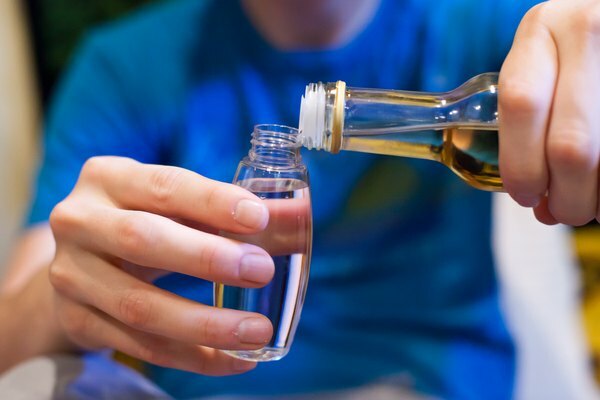 Pour an equal amount of white vinegar and warm water into a spray bottle. Gently shake the bottle to mix the ingredients. Spray the urine stain with the vinegar and water mixture. The stain should be saturated with the solution. 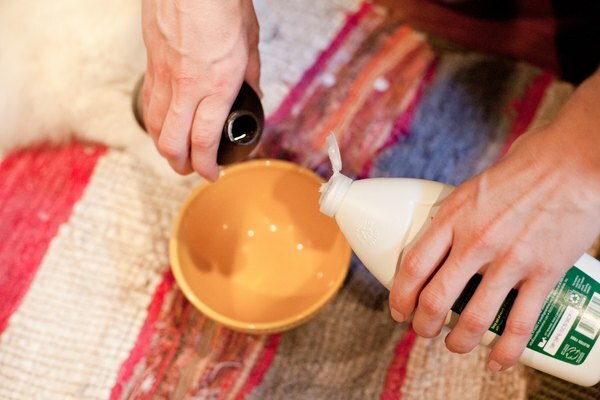 Vinegar helps neutralize the scent of cat urine. Blot the stain with dry paper towels until the stain is nearly dry. Mix 1/4 cup of 3% hydrogen peroxide with 1 tsp. liquid dish soap in a bowl. Sprinkle a handful of baking soda onto the urine stain. Pour the hydrogen peroxide and dish soap mixture onto the urine stain over the baking soda. Work the mixture into the fabric using a scrub brush. The purpose is to get the ingredients deep into the fibers of the fabric. Let the urine stain dry overnight. 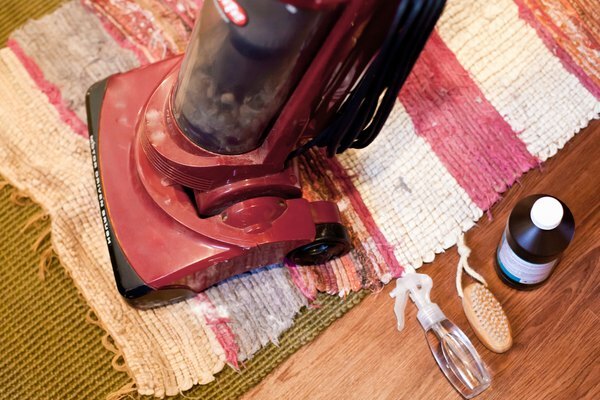 Vacuum the stain when it is totally dry to remove the remaining baking soda. If there is dry soap residue on the stain, use a damp towel to clean the fabric and let it dry. 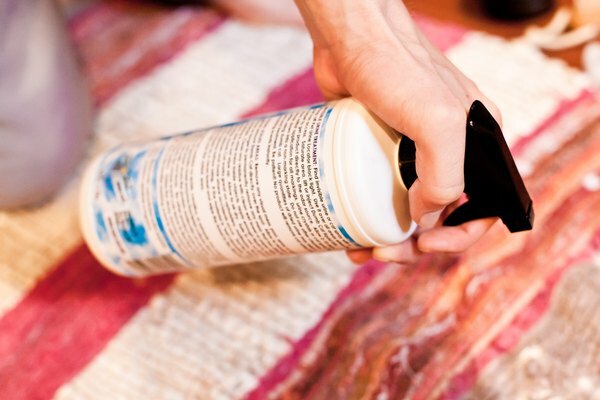 Spray the urine stain with a product designed to neutralize or cover up pet odor. Spot test the mixture on an inconspicuous area to ensure the peroxide won't beach the carpet or fabric. Avoid peroxide solutions that are stronger than 3%. 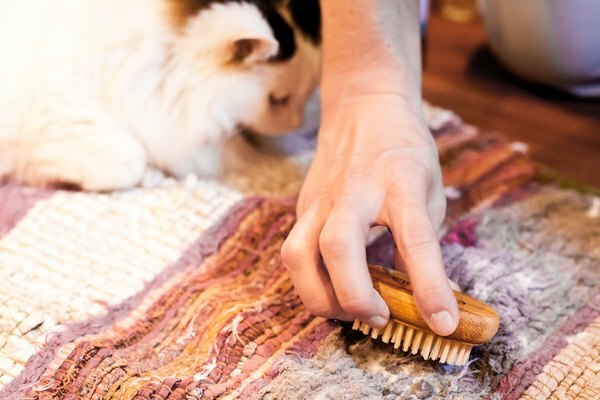 If the cat urine soaked the padding under the carpet, or the batting or foam under upholstery, it becomes increasingly difficult to remove the odor. In this case, replacing the padding, batting or foam my be the best option. Do not use ammonia-based cleaners on floors or fabrics, since they may encourage pets to urinate indoors.